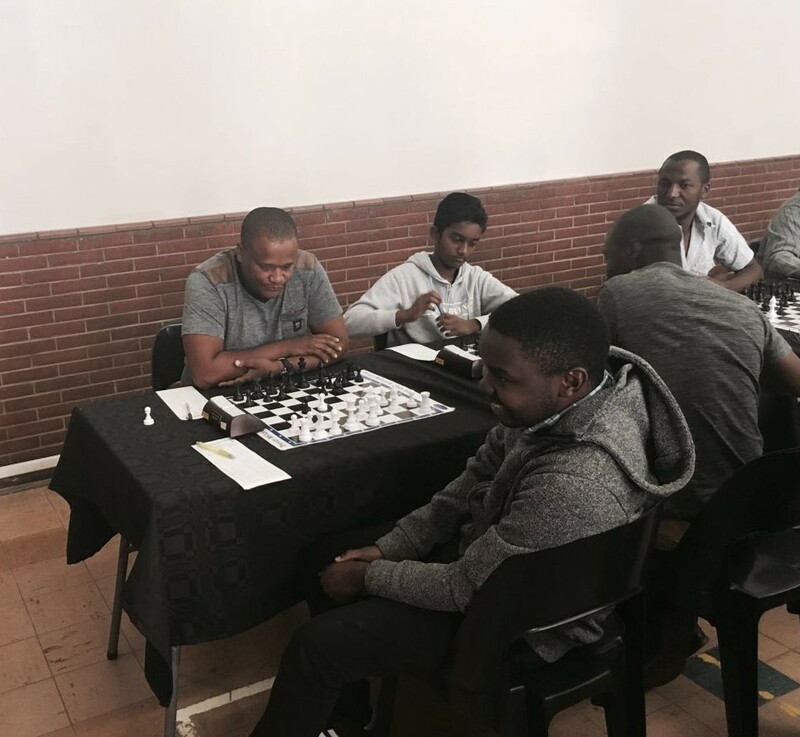 The 2016 KZN open was won by visiting IM Johannes Mabusela from Tshwane, with the fine score of 7½ points out of 8. In 2nd place was Wandumuzi Khanyile from Richards Bay, with 7 points. Here is a copy of the final results. Defending champion Joseph Mwale hit an early speed bump, when he lost in round 3 to Desmond Rooplal. Here is the score of one of Desmond's favourite games. The pawn sacrifice on e5 gave a strong attack, similar to a Ruy Lopez Marshall. Perhaps Joseph should have allowed Desmond a perpetual check rather than trying to win at all costs. Joseph was determined to recover from this setback, and his game against former Durban champion Bongani Mgaga exemplified this. With 25 minutes of the playing session remaining, the lights suddenly went out with Bongani having a slightly worse position in the ending. After stopping the clocks, I found that the light from the torch app on 3 or 4 smartphones was enough for play to continue. Who knew that there is actually a good use for cellphones at a chess tournament? Thanks to all the guys who helped with their phones! By the start of round 7 Joseph had recovered to 5/6 and was given the White pieces against Mabu, who had won all his games to that point. Here is the score from the clash of the two top seeds, Mwale vs Mabusela. Unfortunately Joseph went astray on move 18 and Mabu exploited his error ruthlessly. Before ending this report, I must tell you about the upsets. 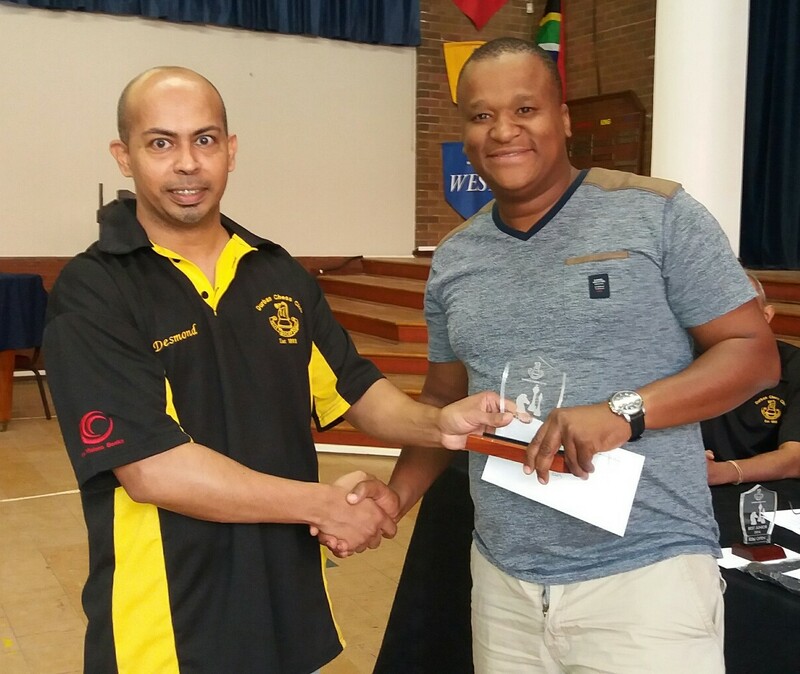 The club gave a highly prized Durban Chess Club golf shirt to all the upset prize winners. The surprising thing was that our oldest player, Solly Kharwa, almost won three such prizes. Desmond escaped his clutches in round 2 after being down a piece. Chief organiser Paul Curry was not so lucky in round 7. To top it off, Solly took out Chad Millard in the last round. His score of 5 out of 8 was not bad for somebody who turned 71 in April! Here is the score of Curry vs Kharwa. 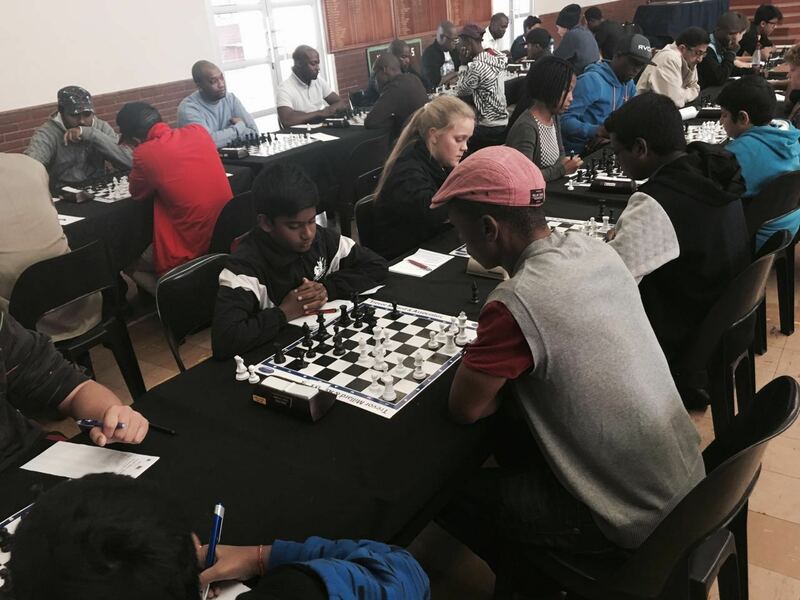 The following file contains 2016 KZN Open games (80 games played on top boards).